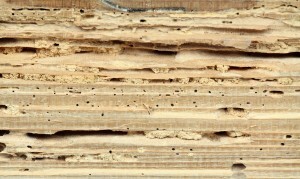 Termites cause over $5 billion in property damage every year (http://www.pestworld.org/). Termites can be a home’s worst enemy. Termites consume the foundation of a home; extensive damage often occurs before it becomes obvious and remediation can cost thousands of dollars. Like most challenges in life, prevention is the best cure against these nefarious pests. A termite inspection is a visual inspection of the readily accessible areas of a home for evidence of wood-destroying insects and organisms. The inspector inspects the entire interior of a home (including accessing and entering subspaces, including basements and crawlspaces) and exterior of the property. In geographic areas in which drywood termites are prevalent, and in houses where there are no sub-areas, the inspector may also access and inspect the attic. After the inspection has been performed, the inspector reports findings and proposed remediation. If you suspect a termite infestation or to have your home inspected for termites, give us a call at (732) 616-4389 to schedule an inspection or message Dave at dave@rescominspections.us.